The world recently celebrated the 30th anniversary of the World Wide Web, which has changed the world for the better in many ways. It's now easier than ever to buy things with the click of a few buttons, share information quickly and safely, and give people who previously did not have voice platforms to express their opinions. But even the web's inventor Sir Tim Berners-Lee has called for action to address a slate of problems borne out of the internet. 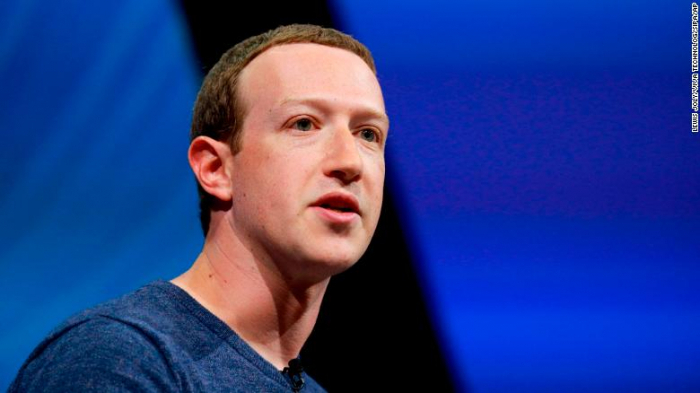 Facebook CEO Mark Zuckerberg also recently came out in favor of stricter regulation. These are calls that the UK government has been listening to. We've heard tragic stories of everything from bullying and harassment to the promotion of self harm, suicide, child sexual abuse and the glorification of terrorism and violent crime. It's clear to us that self-regulation among tech companies has not been sufficient and action in the form of regulation is now needed. In a world first, the UK has published a blueprint for new legislation that will hold tech companies to account and protect those using their platforms. The online world is changing rapidly, and it needs an independent regulator. It will enforce a new legal obligation for online platforms to exercise a duty of care to their users. This means that companies will have a responsibility to take reasonable and proportionate steps to protect their users from harm. It is similar to the principle that when you take your child to a playground, you trust that the builder made sure the equipment was safe and that no harm will come to them. Why should it be any different online? This duty of care will be translated by the regulator into clear, concrete responsibilities for tackling harmful content and activity online. It will make tech companies more responsible for the content they host and place tougher requirements on platforms to take robust action against terrorism and child sexual exploitation and abuse. The regulator will have the powers needed to hold companies to account when they fail to keep us safe, including the power to issue substantial fines. And we are considering making senior managers liable for breaches of their company's duty of care. This is not about curtailing freedom of expression online. The internet has given people a voice, and we want to make sure that everyone has the freedom to express themselves. Our support for the free, open, global internet is undimmed. At the same time, we must uphold our values and democracy must be protected. It is about taking a balanced approach where government intervention helps tackle online harms, with the help of the tech firms themselves. It is about not just using law, but also innovation. Technology companies need to be part of the solution and come up with innovative ways to protect their users. And we will make sure the new law minimizes the burden on start-ups, so we don't accidentally make it harder to innovate. The UK government will open these ideas up for consultation, and I want to hear views from the United States too. I recently visited Silicon Valley, where I met with the executives of large tech companies including Facebook, Google, Twitter and Apple. Online safety is a global issue, and we need to work together on it -- this can't be done in isolation, and we want to work with you and learn from partners around the world. I believe that the plan we have set out is a major step in the right direction. The tech sector has improved our lives immeasurably. Britain has always fostered and welcomed innovation, and we will continue to embrace it. Brits invented precursors of the modern computer, along with the World Wide Web, and we want to lead the debate on how we keep our citizens safe online. That is an objective on which the British Government, Sir Tim Berners-Lee and Mark Zuckerberg would all agree. Jeremy Paul Wright QC is an English Conservative Party politician and lawyer who was Attorney General for England and Wales and Advocate General for Northern Ireland from 2014 to 2018, and has served as Culture Secretary since July 2018.